June 1, 2015 – NEW YORK – On social media earlier today bestselling author E L James announced that she will release a new version of her worldwide bestselling novel Fifty Shades of Grey—this time written from Christian Grey’s point of view. 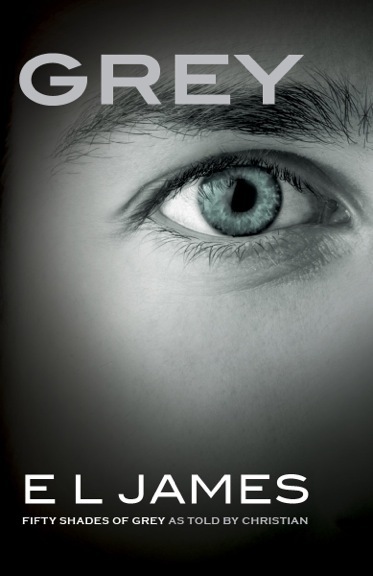 The new book, titled Grey, will be published on June 18th —a date that devotees may remember as Christian’s birthday. See the world of Fifty Shades of Grey anew through the eyes of Christian Grey. In Christian’s own words, and through his thoughts, reflections, and dreams, E L James offers a fresh perspective on the love story that has enthralled millions of readers around the world. Christian Grey exercises control in all things; his world is neat, disciplined, and utterly empty—until the day that Anastasia Steele falls into his office, in a tangle of shapely limbs and tumbling brown hair. He tries to forget her, but instead is swept up in a storm of emotion he cannot comprehend and cannot resist. Unlike any woman he has known before, shy, unworldly Ana seems to see right through him—past the business prodigy and the penthouse lifestyle to Christian’s cold, wounded heart. Will being with Ana dispel the horrors of his childhood that haunt Christian every night? Or will his dark sexual desires, his compulsion to control, and the self-loathing that fills his soul drive this girl away and destroy the fragile hope she offers him? This book is intended for mature audiences.